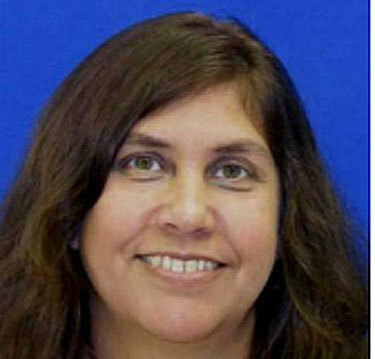 UPDATE: 6/26/13 – Teresa Lynn Cole Lentz was found in Spotsylvania County, Va., on Tuesday night. Please note that she left behind her cell phone and key and car was left near the railroad track. Police believe there was not foul play which means that Teresa left on her own, and intentionally parked her car by the railroad tracks and left her cell phone and keys inside the car. Was she trying to make it look like an abduction or was she not in a good state of mind when she left? Previous story: Teresa Lynn Coie Lentz, 49, from Frederick, Maryland is missing after going out to run errands, the Frederick County Sheriff’s Office says. She was last seen on Wednesday June 19 around 1:30 via her cell phone. When she was not home by late afternoon and didn’t respond to phone calls or text messages the family went searching for her. They found her car along the railroad tracks on Reels Mill Road around 9:45 p.m. Her cell phone and keys were inside the car. Lentz is described as 5-foot-6 and 165 pounds with brown, shoulder-length hair and hazel eyes. She wears glasses. Anyone with information should call authorities at 301-600-1046.